Simone reviews her experience of the education she has received to date and how an apprenticeship programme was most suited to her. She explains all of the positive aspects of doing a qualification whilst working and how this has benefited her in all areas. not only professional development but also personal development, including buying her own house! Matt decided to do an apprenticeship because that was the best option for him to prepare himself for the working environment. Matt finds it rewarding to be able to use the IT skills gained through his apprenticeship training to help other colleagues. 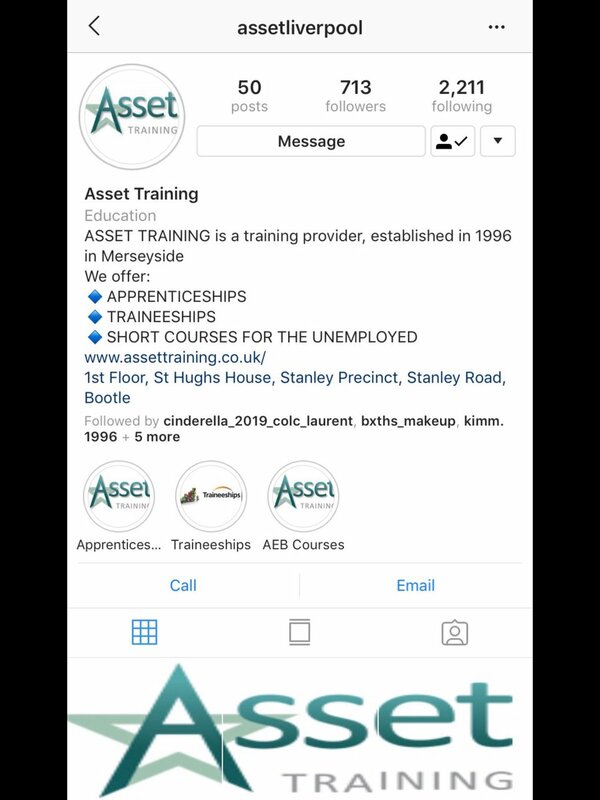 Asset Training & Consultancy Ltd was established in 1996 and is based in Merseyside with multiple delivery sites across the boroughs, delivering high quality training and qualifications Nationwide. If you have any questions regarding our service then please contact us..